Apple Previews iOS 6 With All New Maps, Siri Features, Facebook Integration, Shared Photo Streams & New Passbook App. Apple® today previewed iOS 6, introducing over 200 new features to the world’s most advanced mobile operating system, and released a beta version to iOS Developer Program members. 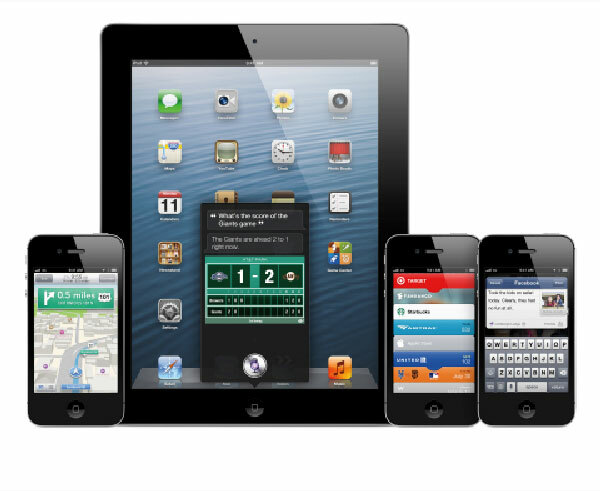 iOS 6 will be available to iPhone®, iPad® and iPod touch® users this fall as a free software update. New iOS 6 features include: an all new Maps app with Apple-designed cartography, turn-by-turn navigation and an amazing new Flyover view; new Siri® features, including support for more languages, easy access to sports scores, restaurant recommendations and movie listings; Facebook integration for Contacts and Calendar, with the ability to post directly from Notification Center, Siri and Facebook-enabled apps like Photos, Safari® and Maps; Shared Photo Streams via iCloud®; and Passbook, the simplest way to get all your passes in one place. • a whole new set of improvements and services specifically for iOS users in China, such as improved text input and built-in support for popular Chinese services including Baidu, Sina Weibo, Youku and Tudou. © 2012 Apple Inc. All rights reserved. Apple, the Apple logo, Mac, Mac OS, Macintosh, iPhone, iPad, iPod touch, Siri, Safari, iCloud, App Store, iTunes, iPhoto, Aperture and FaceTime are trademarks of Apple. Other company and product names may be trademarks of their respective owners.